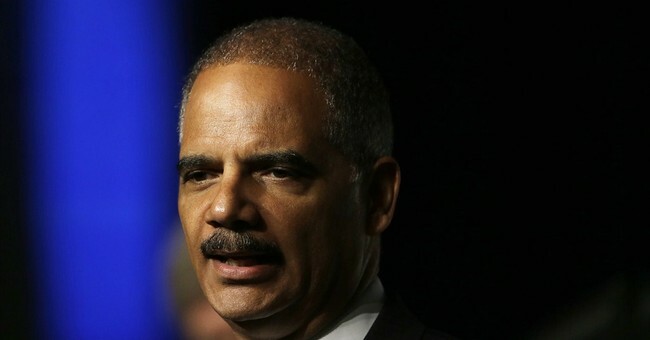 Will Holder Turn His Puffery Toward Mississippi? I’m all for according public officials the dignity due their positions, but I must say that Attorney General Eric H. Holder, Jr. is beginning to resemble Puff the Magic Dragon. How else to explain his department’s memo ordering U.S. Attorneys not to enforce federal marijuana laws? The action came in the wake of voters in Colorado and Washington legalizing recreational marijuana use last year. It’s one thing to have people in Seattle eating munchies at Starbucks, or wandering around Aspen in a Rocky Mountain high, and another thing to turn the Justice Department into the Toking Up Facilitation Bureau for the whole country. Even Americans who want marijuana decriminalized should be alarmed at the odd legal maneuvers by federal officials high on their vision of America as Woodstock Nation. By their action, the administration has apparently come to embrace states’ rights – except when they don’t. In response to states enacting photo ID laws to thwart vote fraud, the easy-going, states’ rights Puff turns out to be a federal, fire-breathing dragon. Over the past two years, Mr. Holder has unleashed legions of lawyers bent on crushing the nascent, state-based election integrity movement, claiming falsely that it is “racist.” Voters apparently can be trusted to legalize marijuana, but not to approve measures aimed at ensuring honest elections. However, something historic happened last week in Mississippi that’s going to put the damper on the vote fraud industry and its enablers at the Justice Department. In an unprecedented consent decree, a county that had more registered voters than voting-age-eligible residents agreed to clean up its voter rolls. The Walthall County pact could be the pebble that turns into a boulder as it picks up speed. The American Civil Rights Union (ACRU) in April sued Walthall, a white-majority southern Mississippi county that voted for Mitt Romney in 2012, and also nearby Jefferson Davis County, which has a black majority and voted for Barack Obama. The Jefferson Davis case is pending. The complaints were filed under the National Voter Registration Act of 1993 (“Motor Voter”). Section 8 of that law requires states and counties to regularly remove the dead, duplicates, felons and non-citizens from voter rolls. Despite the reality that hundreds of counties around the nation have not been obeying the law, the Justice Department has looked the other way. “This case should have been called United States v. Walthall County instead of ACRU v. Walthall County,” said J. Christian Adams, a former Justice Department Voting Section attorney who along with former Voting Section chief Christopher Coates and former Justice attorney Henry Ross filed the lawsuits. “We're doing the job that Attorney General Eric H. Holder Jr. won't do. In fact, he's too busy suing Texas for its new photo ID law and abusing power in other ways to harass states that are trying to ensure election integrity." Indeed, Mr. Holder has snorted loudly at Texas, suing the Lone Star State on August 22 over its new photo voter ID law. He effectively ignored the Supreme Court’s June ruling that struck down key sections of the Voting Rights Act of 1965. The law required Southern states, plus other jurisdictions around the nation, to submit voting law or redistricting changes for review by the Justice Department or a three-judge, D.C.-based federal panel. The Court majority said the nation has changed since 1965, when Jim Crow laws in mostly Southern states prevented black Americans from voting. But Mr. Holder is locked in a time warp. It will be interesting to see how he reacts to the election integrity agreement in Mississippi. The consent decree has constructive elements that could be a model for the rest of the nation. Approved under Judge Keith Starrett of the Southern District of Mississippi, the decree requires Walthall County to do a mailing and check its voter registration against lists from state and federal agencies, including the Department of Homeland Security’s Systematic Alien Verification for Entitlements (SAVE) database. Among other things, this should help weed out illegal aliens. That alone should give the Justice Department dragon something big to puff on.